Brussels is one of my favorite European cities. I can spend hours strolling through its neighborhoods, admiring the beautiful architecture and of course, indulging in treats like Liège waffles and frites! After returning from my latest visit, I set out to see if I could satisfy my Belgian food cravings a little closer to home. Although Seattle doesn’t have a single frikot – those Belgian food stalls devoted to the frite – there are a few spots around town that allow you to indulge in a little taste of Brussels without hopping on a plane. Brouwer’s is a fun café in the heart of Fremont with an extensive list of Belgian beers on tap and in the bottle. They also serve up a few traditional dishes like mussels, frites and stoofvlees, a hearty Flemish beef stew. The potatoes at Brouwer’s are twice-fried, crispy on the outside and fluffy inside – and a little more delicate than the traditional Belgian frite. They’re delicious by themselves, or with some house-made mayo and curry ketchup. 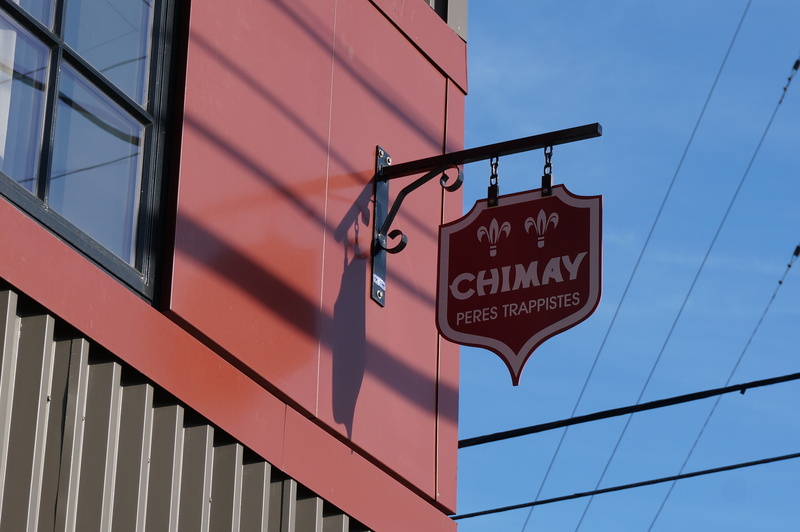 The owners also run a bottle shop in the Wallingford neighborhood which is stocked with beers from around the world, including a large Belgian selection. Besides having great beer, Bottleworks is the only place in town where you can find Leonidas pralines. Since they only import small quantities at a time to ensure freshness, it’s a good idea to call ahead to be sure they are in stock before you head out. Craving a Belgian waffle? Head to downtown Seattle where you’ll find a cute little shop called Sweet Iron. This small, family-run café specializes in authentic Liège waffles, made with brioche dough that is dotted with sugar crystals. They make their waffles with traditional, imported waffle irons and use only fresh, high-quality ingredients. The result is a delicious, sugar-encrusted delight that is so good – if you close your eyes, you just might imagine you’re sitting in a café in Brussels!